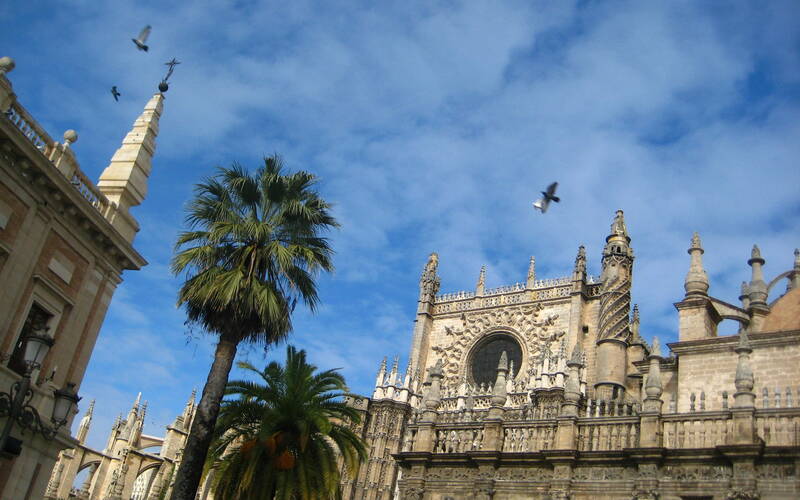 In February 2010, I travelled to Sevilla, Spain to speak at a conference on urban obsolescence put on by La Civdad Viva while working for the City of Malmö, Sweden. The conference focused on retrofitting social housing projects – how to engage residents and promote participation, improve energy efficiency and highlight architectural qualities. It was an impressive panel of experts, leading architects from the region, senior academics and experienced local authority representatives. I was humbled to be amongst the speakers (standing in for my boss) to give a presentation about Eco-city Augustenborg, a social housing project in Malmö. (The presentation is here if you are interested – more to come on Malmö in another blog post). 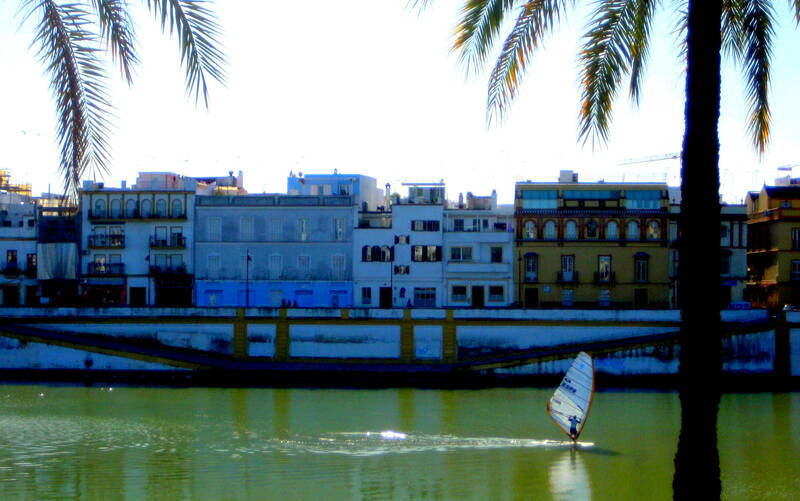 Sevilla, population 703,000, is the capital of the Southernmost of Spain’s autonomous communities, Andalusia. It is a very beautiful, and a very old city – more than 2200 years. It was a Roman city, a Moorish city, the great port city during the Spanish Golden Age handling all of Spain’s wealth, and more recently an industrial and education city. The architecture is ancient and astounding. Large public and private gardens exist throughout the city, and old cathedrals – former mosques – depict the city’s colourful past. Its historic significance is impressive and plentiful and definitely worth a visit. What struck me most, however, was its public spaces and parks, its orange trees on every street, and its ample green spaces, and – like many European cities – its blossoming bike culture and rental system (which I did try). 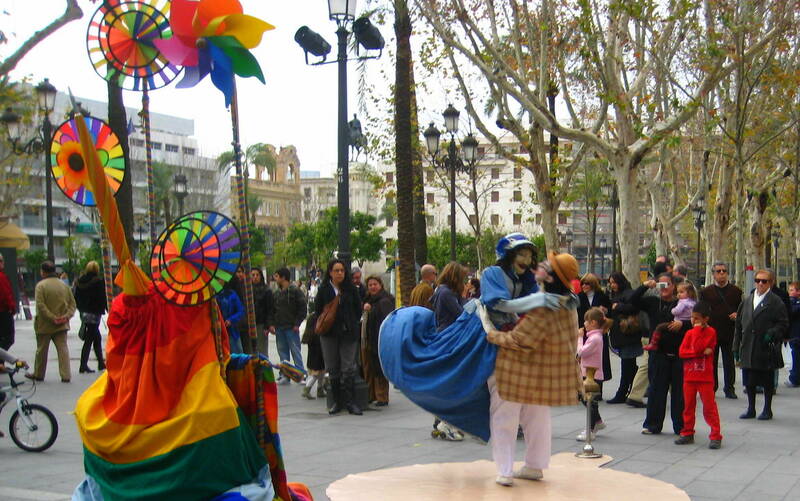 It is a walkable and bikeable city, with great public spaces for lingering in the sun, enjoying patio tapas, a cerveza, or for entertainment – and consequently great public life. European cities are often presumed to have the upper hand in terms of planning strategies concerning biking and walking; with their old centres built before the introduction of the automobile, which consequently also influence modern urban behaviours. Biking, walking and public transport work out better in narrow city centres, while the car is often touted as being better suited in sprawling cities or suburbs. In general, I find this argument too simplistic: while historic centres are an advantage, city planners in European cities (and the world over) need to make active attempts in old and new cities to encourage bikes, buses, parks and walkability, working together with politicians, local businesses, NGOs and citizens. However, in Sevilla, its long history, windy narrow streets (that only permit a bicycle or pedestrian to pass) and historic centre do in fact give it a hand above the rest. 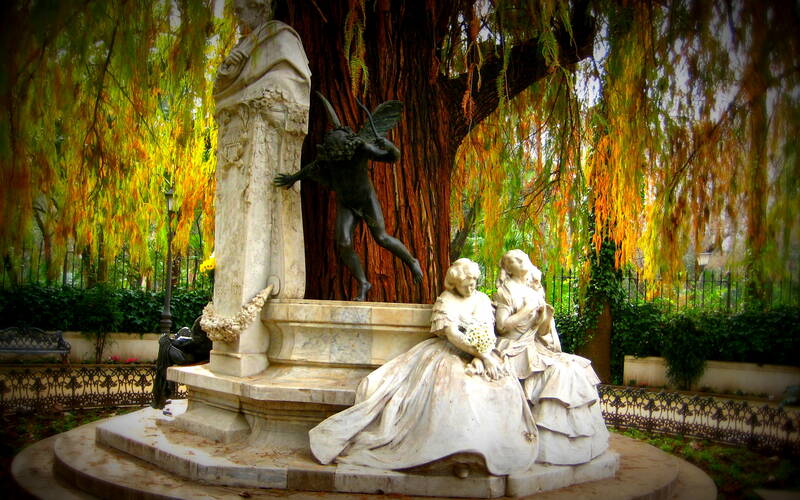 The city is beautiful and residents and visitors alike linger in its public spaces, on park benches, in city squares or under the famous Andalusian orange trees – filling the city with their sweetest scents. 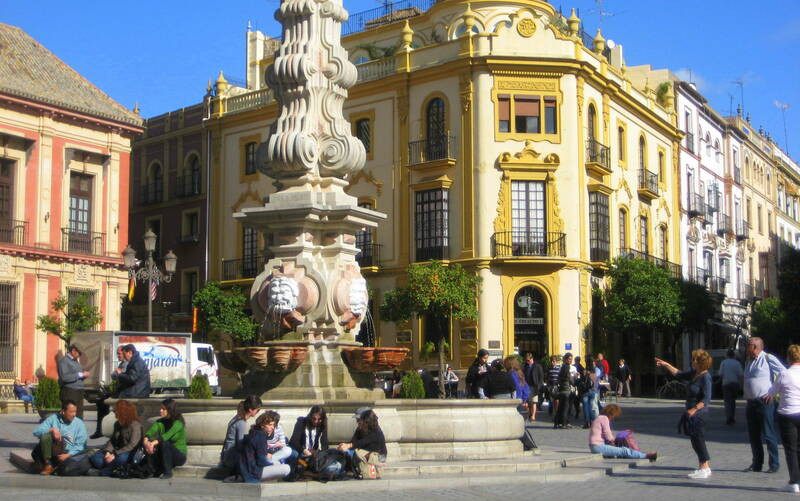 Beyond its natural walking and biking infrastructure, Sevilla has also made efforts to incorporate local sustainability strategies. It hosted the 2011 Velo-city conference on bicycle planning (to encourage cycling as a part of daily transport and recreation) and Sevilla has one of the highest cycling rates in Spain. 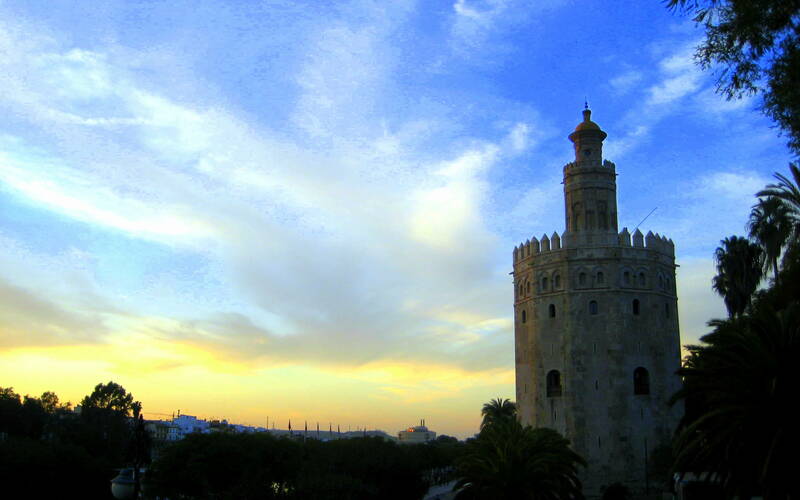 Similarly, while Spain is known for its national efforts to incorporate solar energy, Sevilla is above the rest, featuring a solar tower in commercial operation. Parks and green spaces span the city, necessary to tackle the summer heat, and now serving as an example for other cities incorporating parks and green spaces to cope with urban heat island effect. 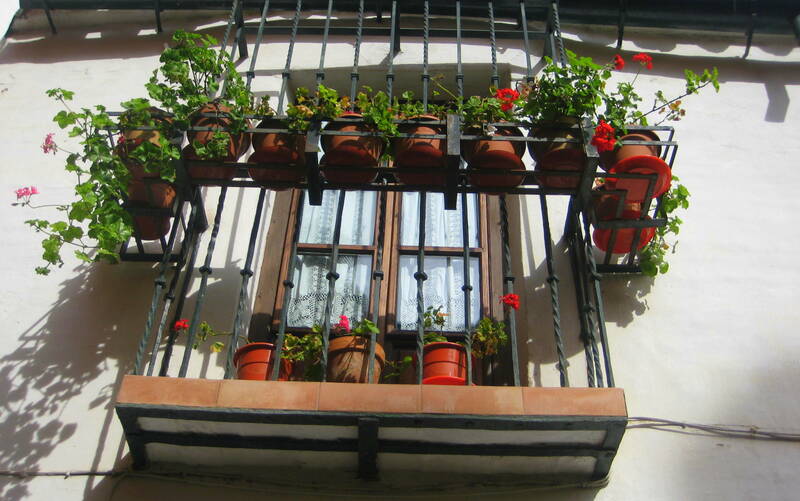 Certainly, the city has a lot to offer: the beauty of its architecture, the charisma of its history, art, culture (the home of Flamenco) and great local cuisine … but also its sustainability strategies. 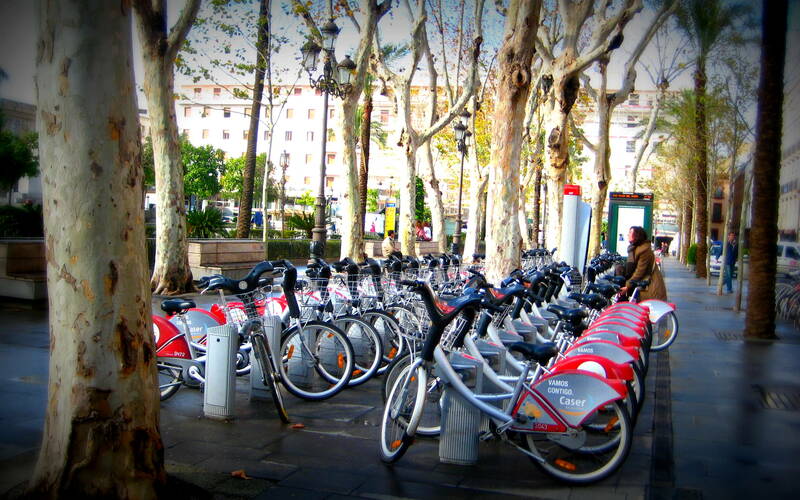 SEVici, Seville´s public bike rental system. Launched in 2007, it has circa 2500 bicycles at 250 stations around the city (roughly 300 metres apart). Sevilla has 120 km of cycle lanes in the city, making it one Spain’s premier cycle cities – despite the heat (similar to discussions about biking infrastrucuture in cities like Doha or Abu Dhabi… see an earlier post). To date, SEVici´s bikes have been used 10 million times, with an average 25,000 daily uses. 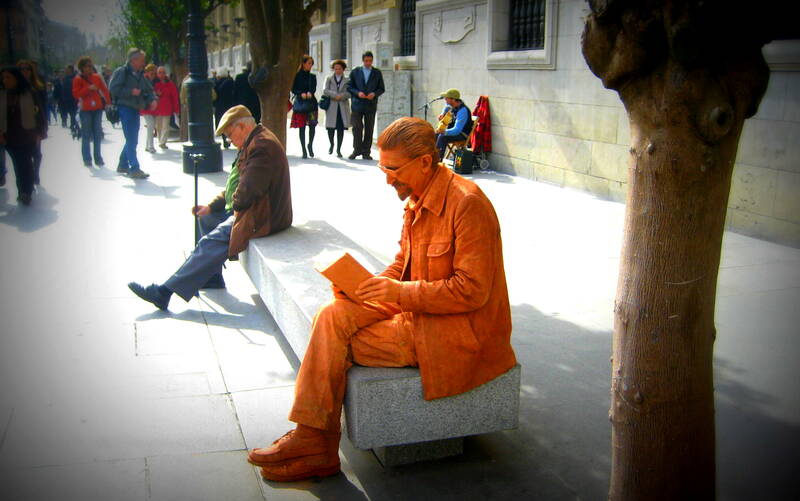 Sevilla public spaces: This was a one-man life-size puppet show (he played one of the puppets). It was quite impressive, receiving a lot of attention from locals & tourists. 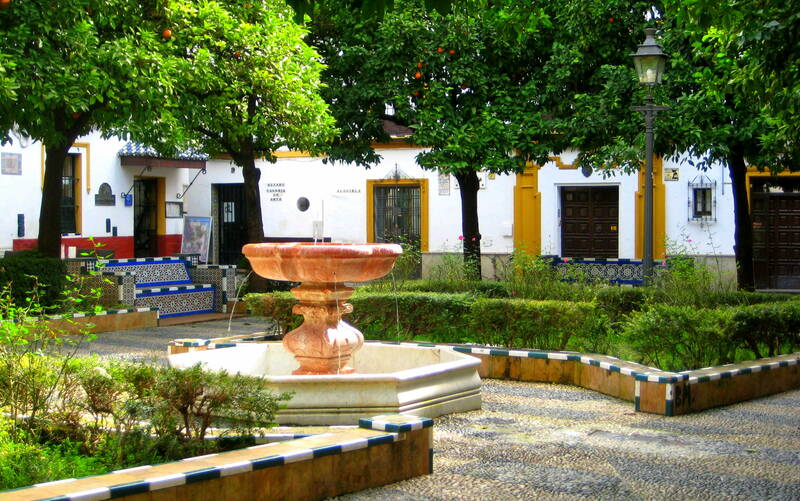 Sevilla public spaces: Hot summer temperatures are nothing new to Sevilla – even before climate change. We could learn something from this ancient city that – before the invention of electric cooling – placed city squares with fountains and green spaces to cool the surrounding buildings. Many of its ancient streets were designed to maximize wind flow and provide shade for pedestrians under the hot summer sun. Smart! 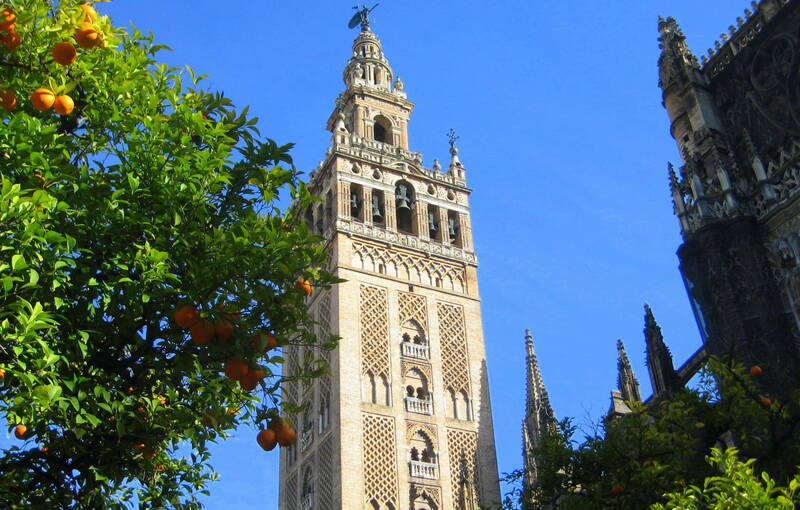 Rich in history: Built in the late 1100s, the Giralda is the bell tower of the Cathedral of Seville; however it once stood as the minaret of the then mosque. When the city became Christian again, a cathedral was built around the tower and the former mosque, demonstrating the triumph of the Christian faith. Sevilla Cathedral is the largest Gothic cathedral & the 4th largest church in the world, housing the tomb of Christopher Columbus. 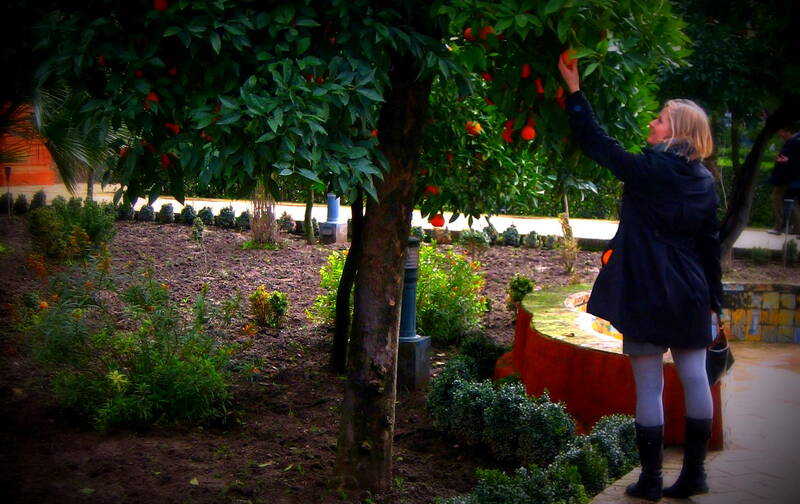 Joining the locals: Orange picking. Great post. I’m impressed! Very useful info 🙂 I was looking for this certain information for a very long time. Thank you and best of luck. Very nice post. I stumbled upon your blog and wanted to say that I’ve loved browsing your blog posts. I will subscribe on your rss feed and hope you write again soon! 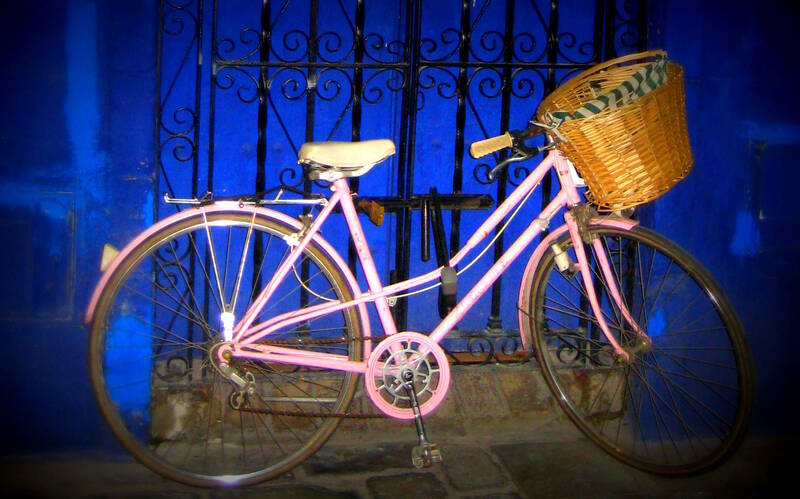 The bike is the best vehicle in Seville!! !